Small teams of faculty and students work on challenging supply chain issues directly with our partners. Businesses get real solutions, valuable objective insights, innovative analytic solutions and access to an up-and-coming workforce. Contact us to learn more about partnering with the SCRC and the benefits we can offer your business. 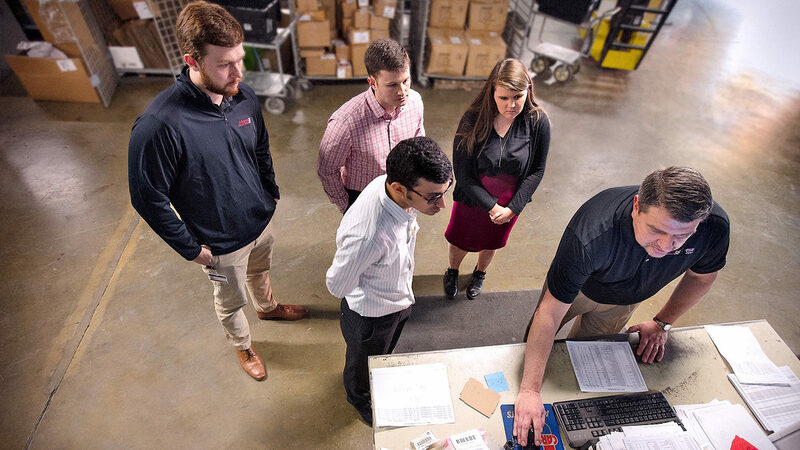 Our industry partnerships are simple: Faculty lead a team of supply chain management students to research, define and solve supply chain problems. The partnership team makes executable recommendations to provide solutions to real-world supply chain problems. These proposals result in real returns when implemented, ultimately advancing the supply chain industry and positioning both students and businesses for success. Think reduced cost, enhanced profits and increased efficiency. Want to work with us? Geography is no boundary: We partner locally, nationally and internationally, so students gain the technology and planning skills needed to succeed in a global business environment. 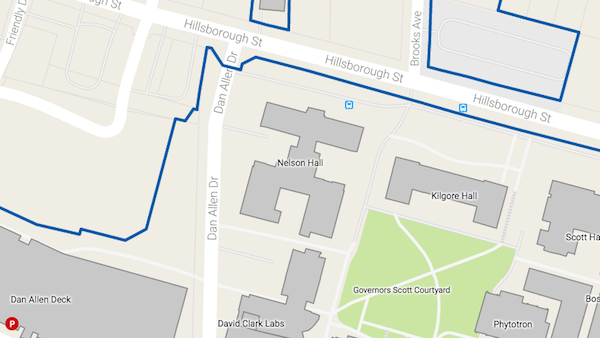 Meet a few of the nearly 60 organizations partnering with our students and faculty, from Duke Energy to Caterpillar. Real results matter. Hear directly from our industry partners about the value of working with our SCRC teams. Our students and thought leaders engage with industry partners in the field and in the classroom to work through business challenges and create innovative, actionable solutions. Business project sponsors have ready access to supply chain faculty and the ability to submit proposals for practicum projects — putting the best minds to work on a problem. They gain working relationships with students and an inside track to future recruits. We have been able to implement recommendations from many of the projects and immediately see the results of the students’ efforts. We advance new information to help supply chains thrive in a complex and competitive marketplace. Partner companies attend twice-yearly meetings to discuss supply chain issues and challenges. They also gain access to extensive Bloomberg research databases and archived projects, along with hundreds of articles and white papers, our Executive Director’s blog and a secure members’ portal. Caterpillar has been an SCRC partner for more than 10 years. As the world’s leading manufacturer of construction and mining equipment, they serve customers in more than 180 countries around the globe with hundreds of products, including diesel and natural gas engines. Their facilities total more than 500 locations worldwide, with more than 132,000 employees.